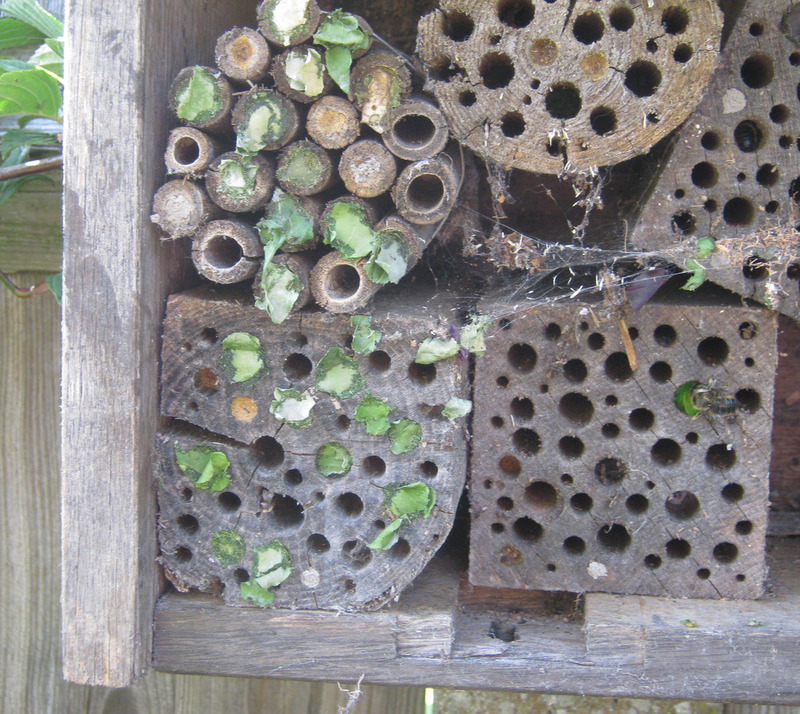 A friend of mine has this very successful bee hotel in her garden and this year it is being used by leafcutter bees. They lay their eggs in short tubes and then seal the end with a neatly cut section of leaf. 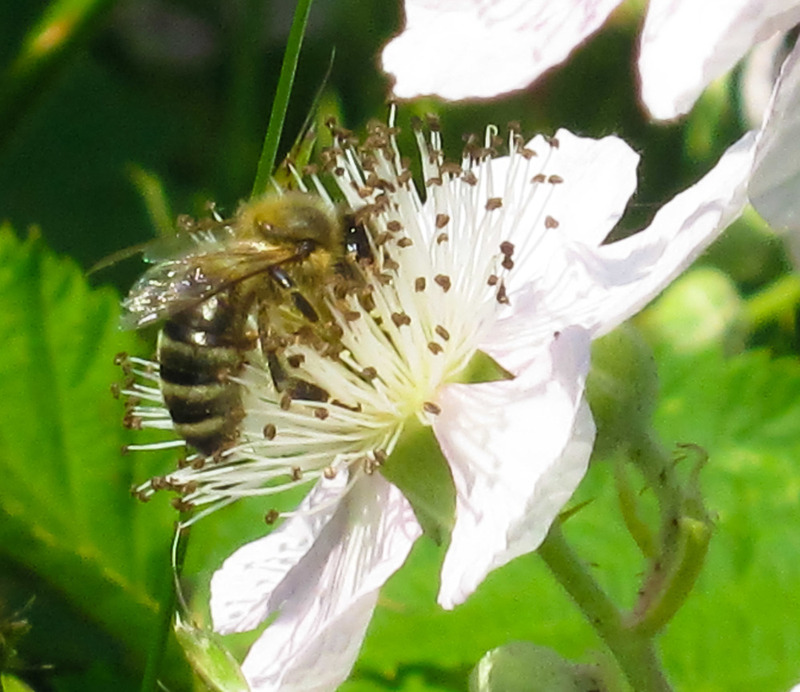 You will know if you have these bees in your garden because they cut near circular sections out of soft leaves, usually herbaceous perennials I have to confess that the bee hotel is being completely ignored. It may be too exposed or that the holes we made are too small. I noticed that the bees here are choosing the larger holes. 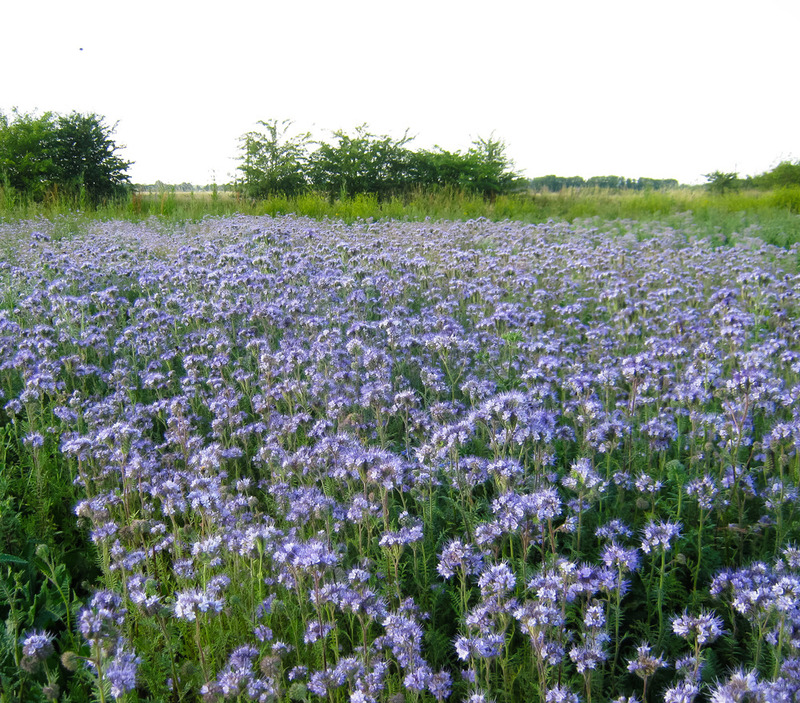 We will try again as I would love to be able to watch these bees at rosbybee. Each nice day this year, I have been struck by how few bees there seem to be either in the garden or at any of the planted sites at rosybee. Today was different; there was a gentle buzz even when the sun was behind light clouds. This was particularly true of the contoneasters in our garden which was buzzing so noisily that I spent at least an hour trying to add to our stock collection of bumblebees. The following is the full list of bees I saw today.